Skylark International is not less than a pilgrimage for fashion-aficionados, as it brings forth an exclusive collection of ladies wear and imitation jewellery in the global markets. 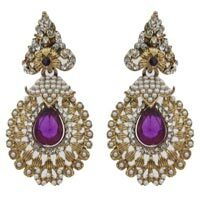 The company is one of the chief Manufacturers, Suppliers, and Exporters of all types of ladies wear and imitation jewellery. Our comprehensive assortment of products encompasses ladies wear and imitation jewellery. This collection comprises of rare to find amalgamation of elegance and superior quality. Furthermore, the consistent innovation and diligence of our team reflect in our entire line of ladies wear and imitation jewellery.